CCIE: R/S | CCIE or Null! The lab is ready to go! 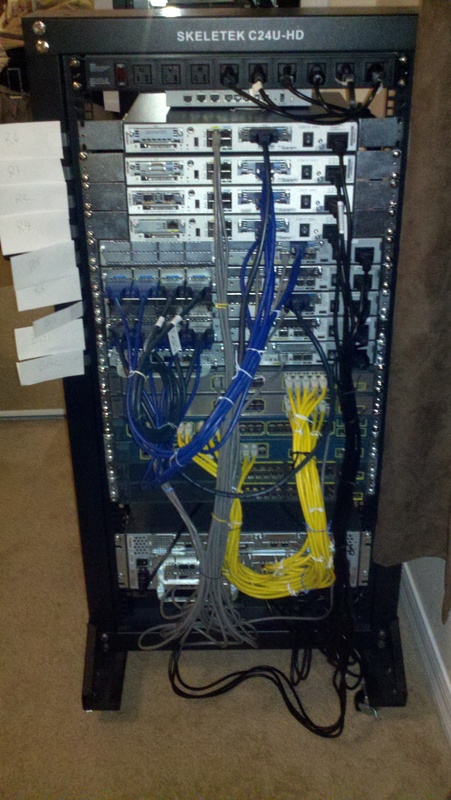 Well, with the exception of a console server I got all my routers racked, stacked, and cabled! 1x 3745 -This is going to get a NM-32a modules for the console server. And, I still got 2U left in the rack not sure what to fill that space up with yet. I was thinking of some old 2950G’s or maybe a Cisco ASA. 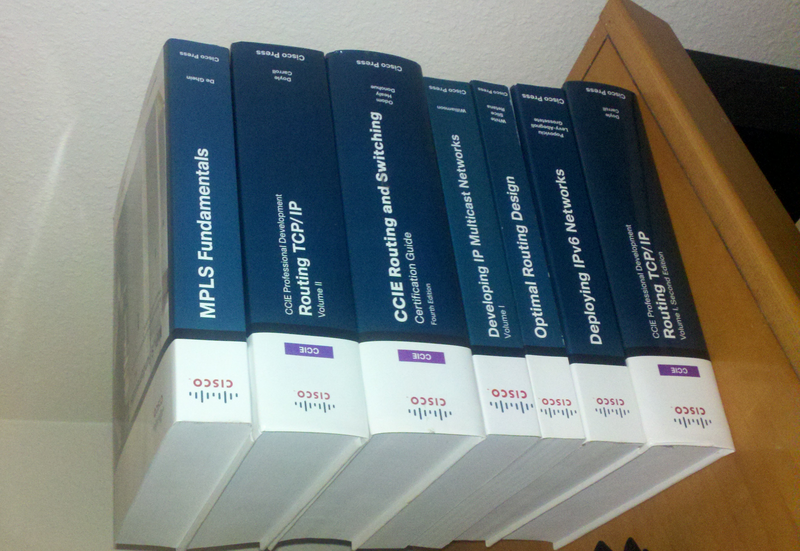 I also picked up the INE workbooks last week so I here goes nothing!